The CSE or the Civil Service Exam organised by the Union Public Service Commission is one of many examinations conducted to fill the positions in the civil service of the country. The examination is divided into two parts, the CSE Prelims and the Advanced. One must qualify the former to appear for the latter and eventually become an Officer in the civil service of the country. There were about 7 lakh takers of the Civil Services Exam last year, in 2017, and only 15000 qualified for the main exam. The percentage of people making it through is a dismal figure. With the CSE 2018 around the corner, the candidates are in a frenzy about the exam that is a potential deciding factor for their futures. Every individual serious about the examination has given serious effort into the preparation for the UPSC exam. And a major factor of the preparation is the solving of previous years’ question papers, especially the questions of the year immediately prior to the year they will appear in. The question papers and UPSC 2018 answer keys may be easily obtained from various online portals and exam study apps. Indeed they are easily available. While questions are still acceptable, the answer key is crucial to the preparation of any candidate. The answer key serves as the point of reference for the candidate to understand that they had gone wrong, figure out where they went wrong, and accordingly take measures of self improvement. Therefore it is important for those concerned to get a proper answer key for the papers they get. Answer keys may be published by the same online portals, but a legitimate answer key for question papers is essential for those banking on it. And indeed the answer key can have a legitimate source. The UPSC website itself publishes the answer key to each year’s questions on its website, a few days after the exam is over. 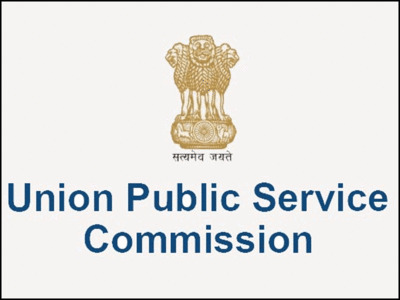 The Union Public Service Commission has an active official website (upsc.gov.in) that is kept up to date with the latest information regarding examinations, admit card distribution, rescheduling of examinations and other details. Log on to the website to easily find the answer key to previous year’s question papers and use it deftly for your own preparation. You can also find the answer key to the CSE that you will be appearing for, after your exam is over, to have a fair idea of your performance. On the top right corner is an icon, by clicking which a sub-page will open on the main web page of the UPSC website. In the sub-page, there will be a host of options related to the CSE and the UPSC. Look for the option relating to ‘Examinations’ and glance through the options given. Under ‘Examinations’, there will be a host of options, out of which ‘Answer Keys’ is one. This is the option you are looking for. Select, to know more. Once you click on ‘Answer Keys’ the website will open on a page with all the answer keys listed according to the recent examinations held under the UPSC. The list contains PDF links to the answer keys to the exams listed. The links are in blue. Click on the blue text to download the PDF files to the exam pertinent to you. Click on ‘save’ after the file is downloaded to find it later on the device you are using. The Union Public Service Commission homepage and subpages show up on Google searches as well. In the search bar type in what you are looking for, something along the lines of ‘UPSC CSE Answer key’ and add the year pertaining to the question paper you are solving. This will help you gain access to answer keys before the year immediately preceding to yours, thus saving you from a lot of scrolling on the UPSC official website. The UPSC answer key can be of extreme help to anyone preparing for the CSE Prelims exam. Any candidate must mandatorily go through the previous year’s papers for a thorough preparation. But is equally important to have access to legitimate answer key to those questions, so you can go back and check. Figuring out where you went wrong is fundamental to improving yourself and your preparation. A legitimate answer key is preferable to avoid any confusion or doubt arising in your mind, that can be detrimental to your confidence and mental state before the examination.